offers comfortable accomodation in 23 rooms of STANDART, LUX and three-bed room categories, a room for disabled guest and two apartments. The hotel Bystrička is a non-smoking hotel. 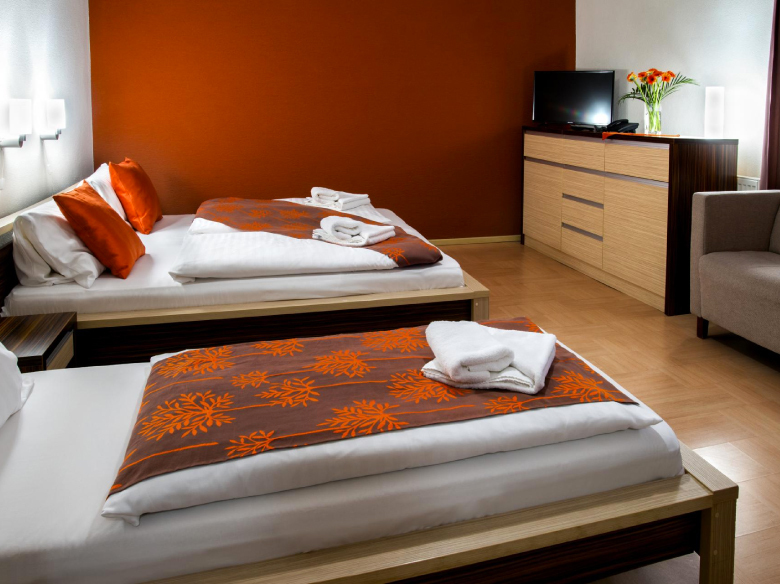 The standard room contains two beds which can be used separately as single beds or as a double bed. The room is also used as a single room occupied by one person. The room is furnished with new and modern furniture and television. The bathroom is equipped with a shower cubicle. It is possible to place an extra bed into the room. 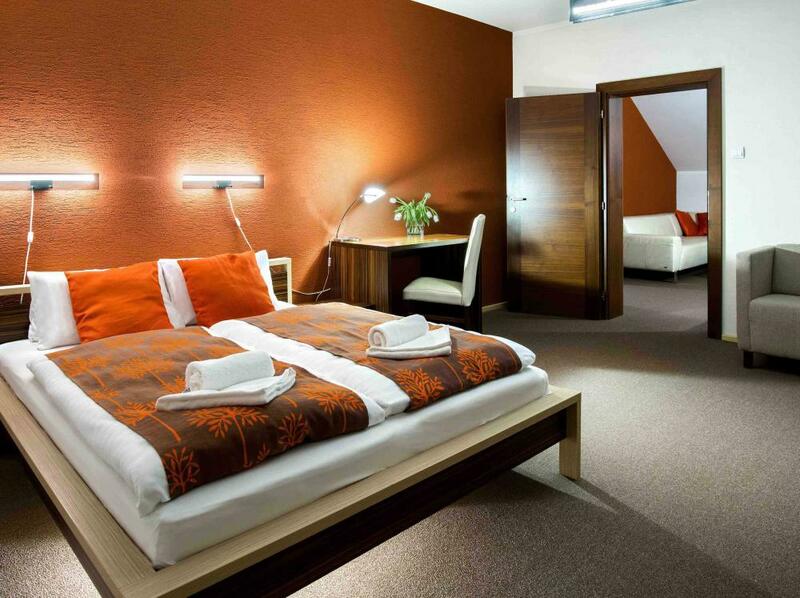 The room Lux contains two beds which can be used separately as single beds or as a double bed. The room is also used as a single room occupied by one person. 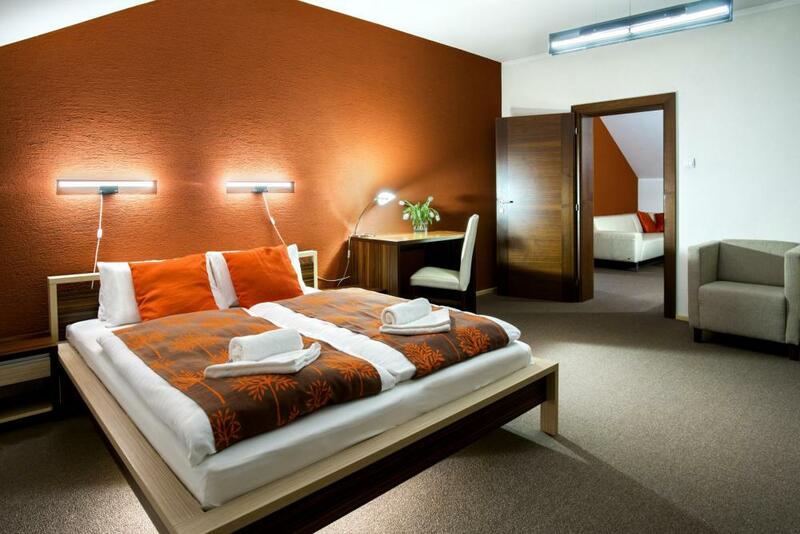 The room is furnished with new and modern furniture, television and minibar. The bathroom is equipped with a bath. There is a possibility to place an extra bed into the room. The spacious apartment fulfils demanding clientele’s needs. The apartment is divided into the bedroom and the living room, where there is a minibar and a desk. 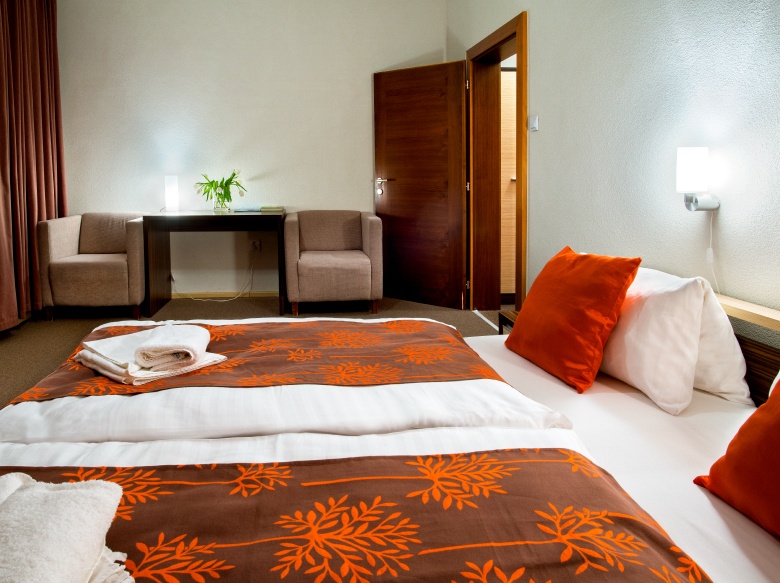 In the apartment, you will find everything needed for comfortable and pleasant stay. The three-bed room provides comfort for families with children. There are three beds and an extra bed can be added, or a cot too.